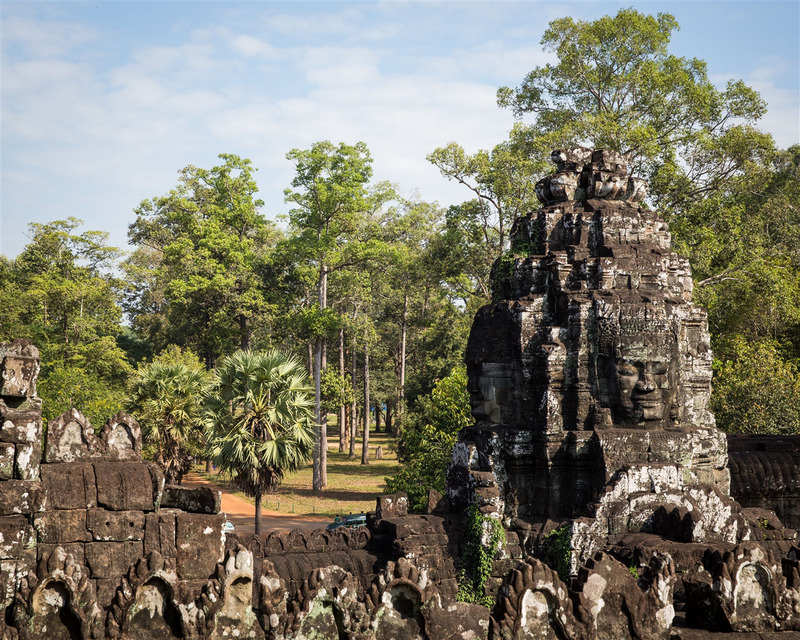 From the south gate of Angkor, a road runs for 1.5km through deep forest straight to what is undoubtedly one of the most visit sites in the whole of the Angkor complex, the Bayon. 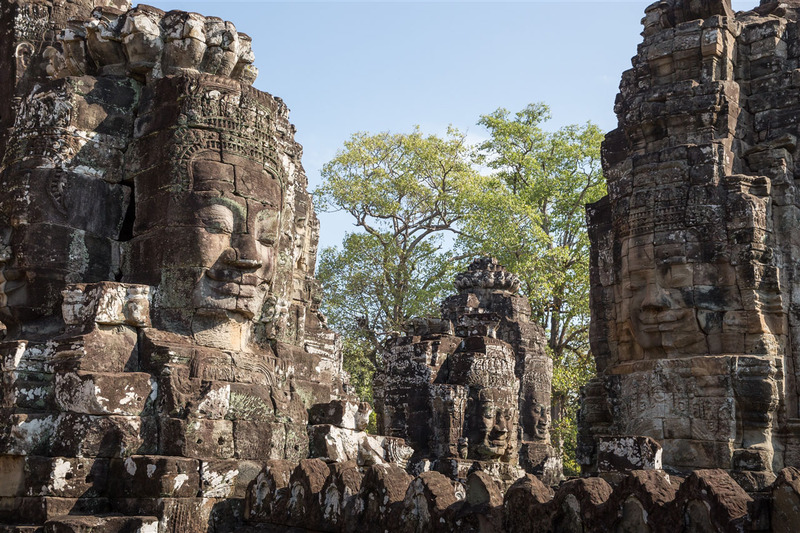 Built in the late 12th and early 13th centuries, the Bayon was originally intended to be a temple that embraced all the religions of the kingdom, including Islamic beliefs, but it was consecrated as a Buddhist temple. 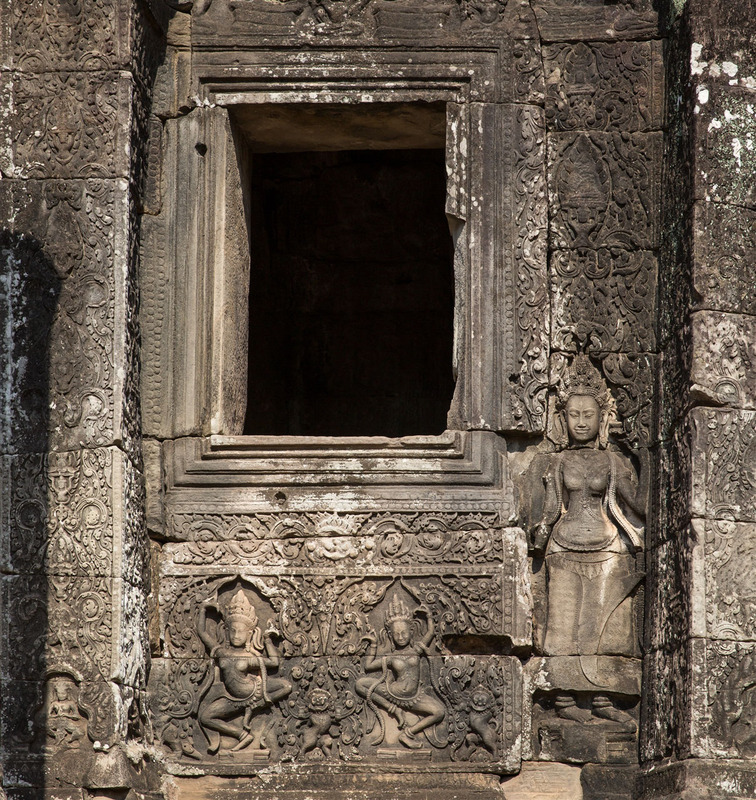 As you approach the temple it’s a confusing sight, it’s hard to make out exactly what lies within were it not for the endless photos from the temple that no doubt have already set the scene for what you’re about to see. 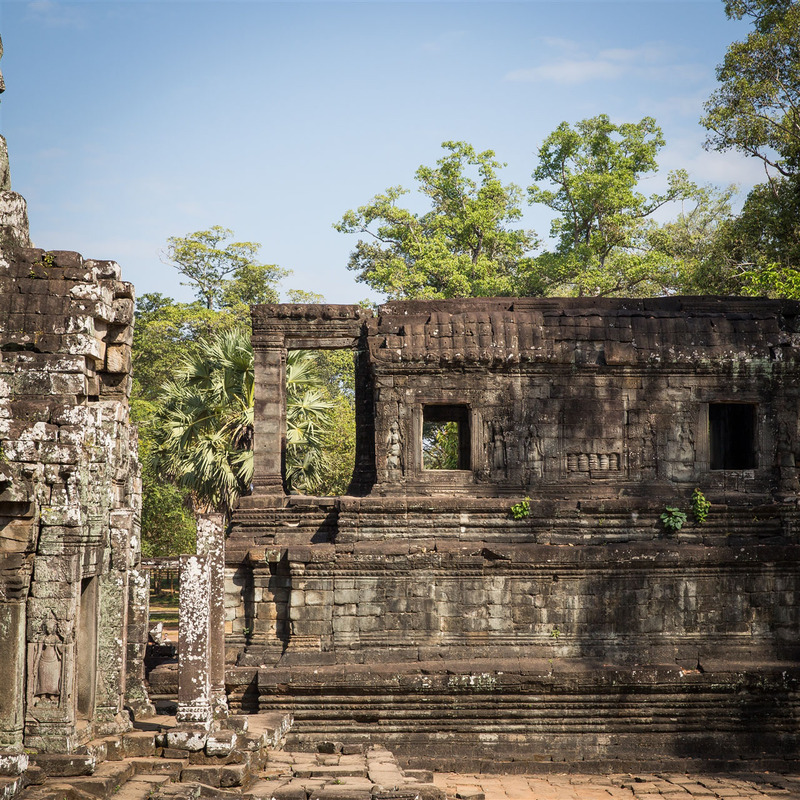 It’s only once you’ve crossed the stone causeway that the complex arrangement of the temple becomes apparent, and you start to make out the 37 towers with the massive serene faces of Lokesvara. 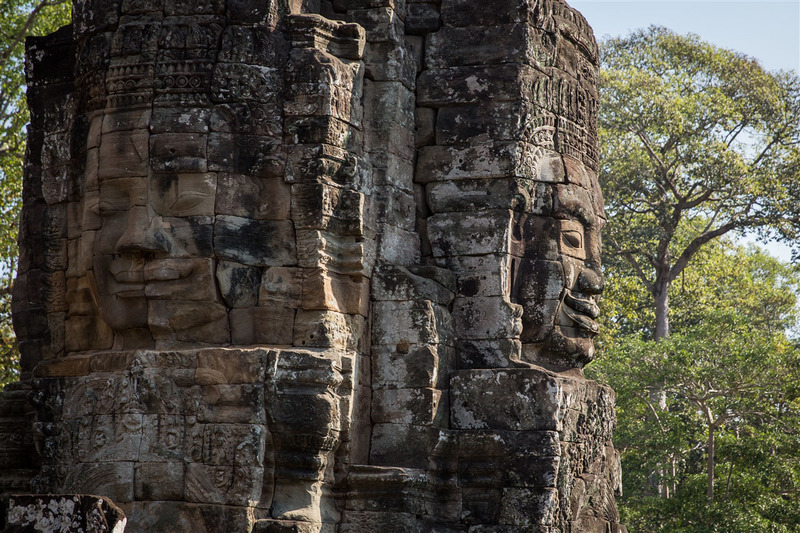 It’s been estimated that there were once more than 200 of these towers at Bayon, although nobody is quite sure why they were repeated so many times. 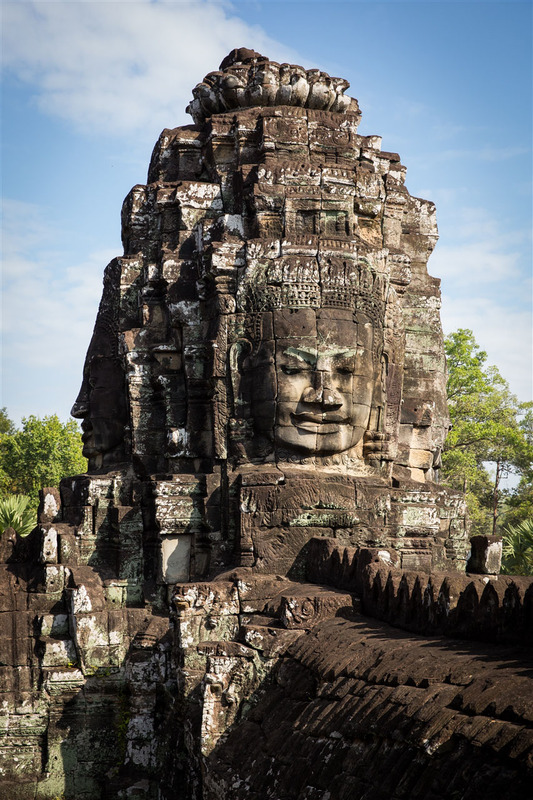 The similarity of the remaining 216 gigantic faces on the temple’s towers to other statues of the Khmer king Jayavarman VII has led many scholars to the conclusion that the faces are representations of king himself. 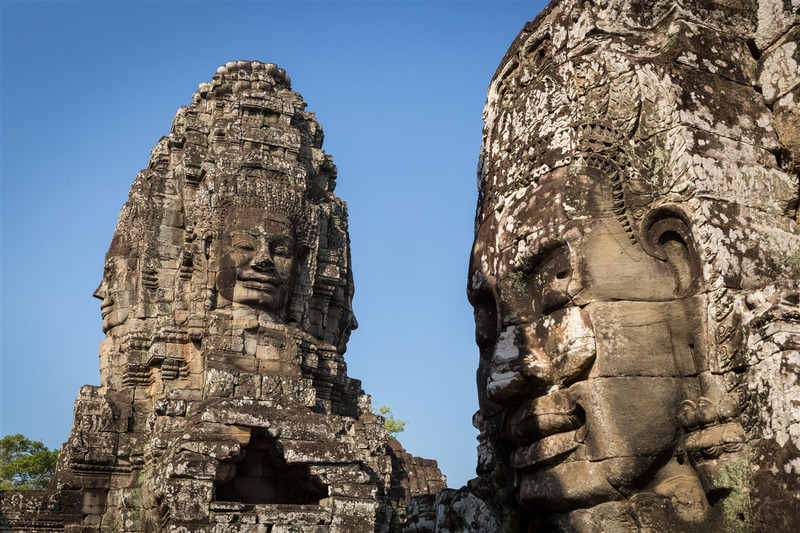 They are spectacular, but only half the reason why you should brave the crowds to visit this temple. 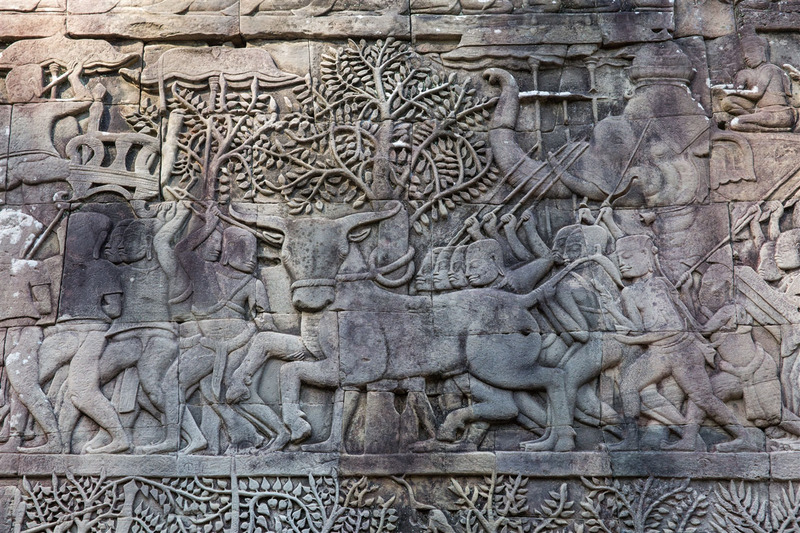 The other most notable feature of the Bayon are the bas-reliefs, which are simply amazing. 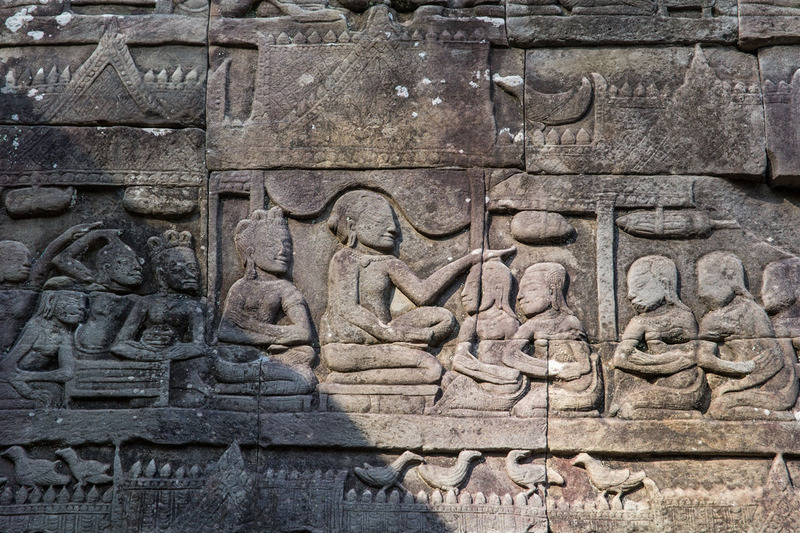 The best preserved and perhaps most interesting of the bas-reliefs is on the outer (3rd) enclosing wall in the south-east corner. 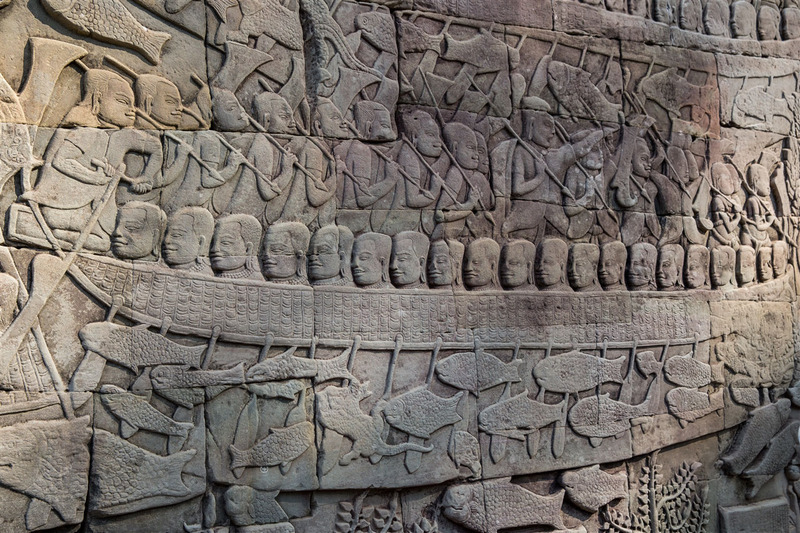 Here is a scene depicting the 1177 naval battle between the Khmer and Cam on the Tonle Sap lake. 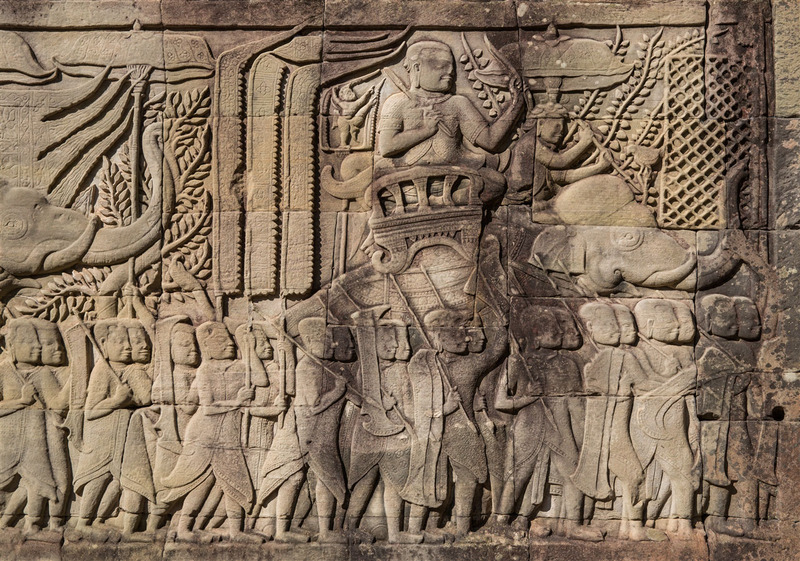 The victorious Khmer, let my Jayavarman VII are shown with bare heads, and the scene starts with the king making preparations for the battle. 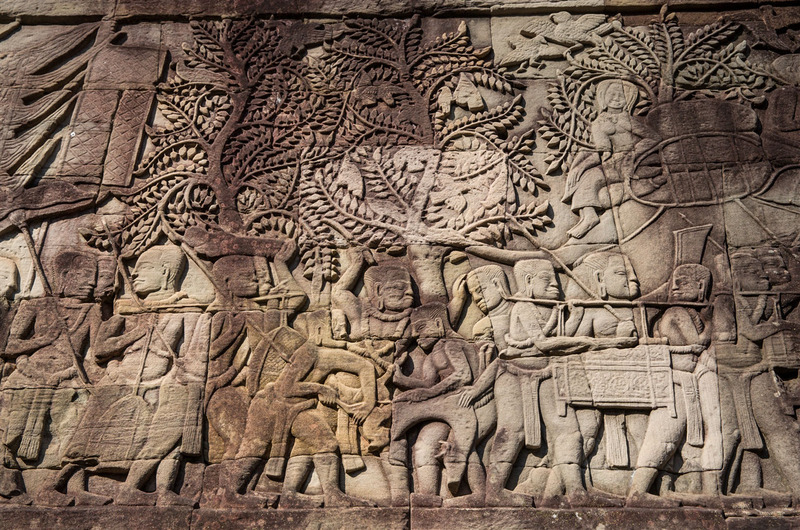 The whole story unfolds as you walk further around the wall, with more carvings at the bottom depicting everyday life on the banks of the lake; hanging fishing baskets, food on skewers cooking over an open fire, even women picking lice from one another’s hair. I love the way a battle scene and everyday life can be depicted alongside each other like this. 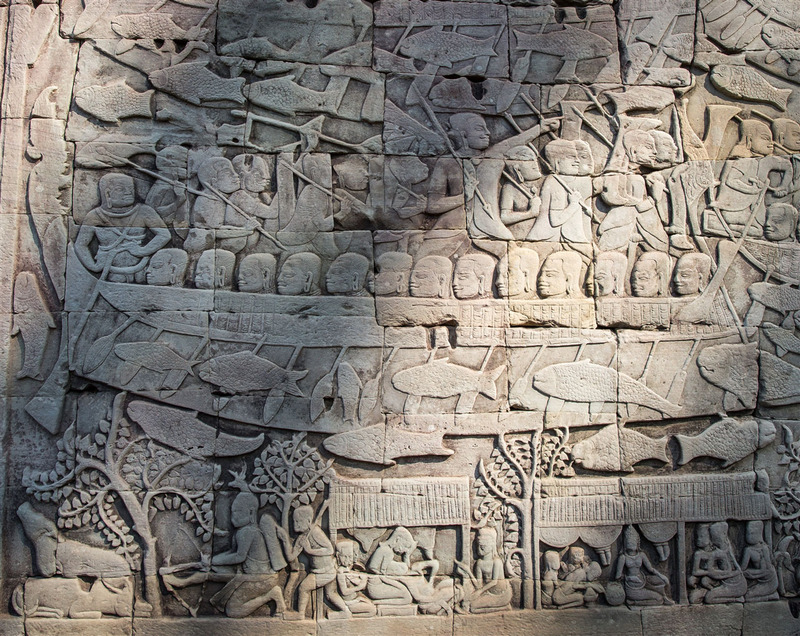 There are three enclosing walls in total, and all of them have bas-relief carvings in various states of preservation. To see them all would take some time, and unfortunately being part of a guided tour not enough time was allocated for me to explore them fully. 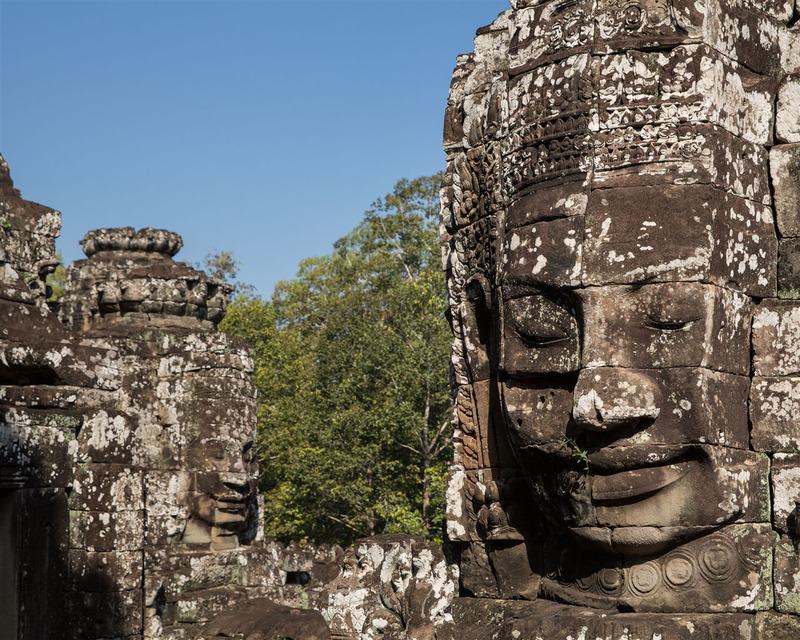 This is one of the downsides of visiting Angkor in such a manner, you’re left feeling very much as if you haven’t really seen as much as you’d like to. 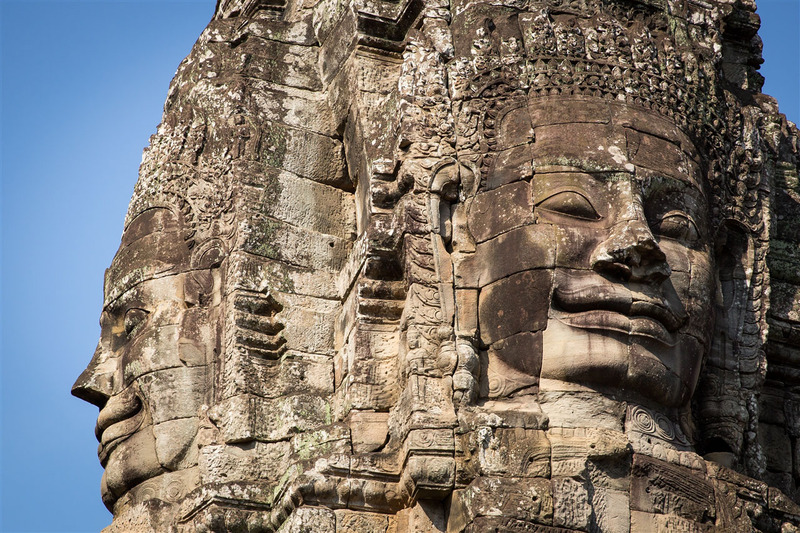 The other downside is the crowds that flock to see the temple. 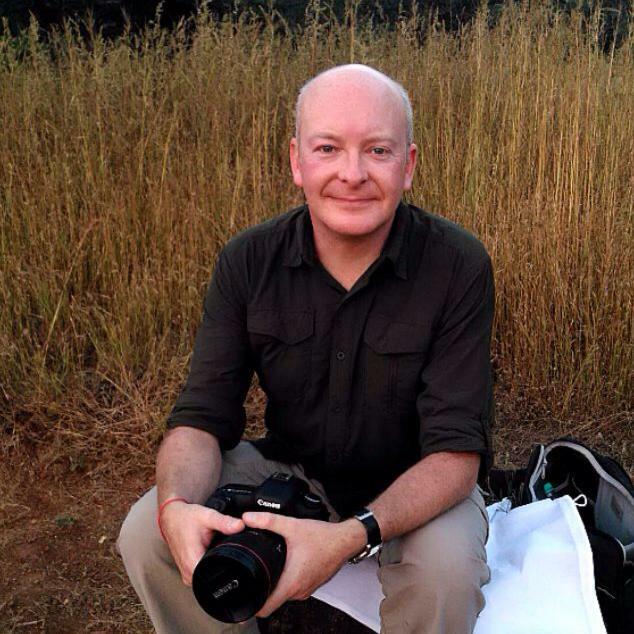 It’s immensely busy, particularly in the mornings which seems to be the favoured time to visit the site. 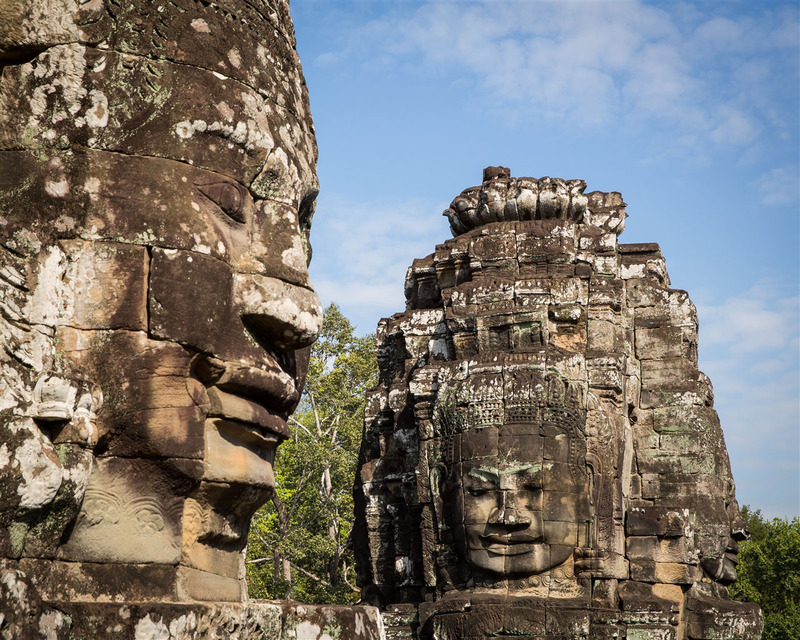 I’ve subsequently heard that late afternoon is a good time to see the Bayon, it’s far less crowded and you avoid the harsh sunlight from earlier in the day. 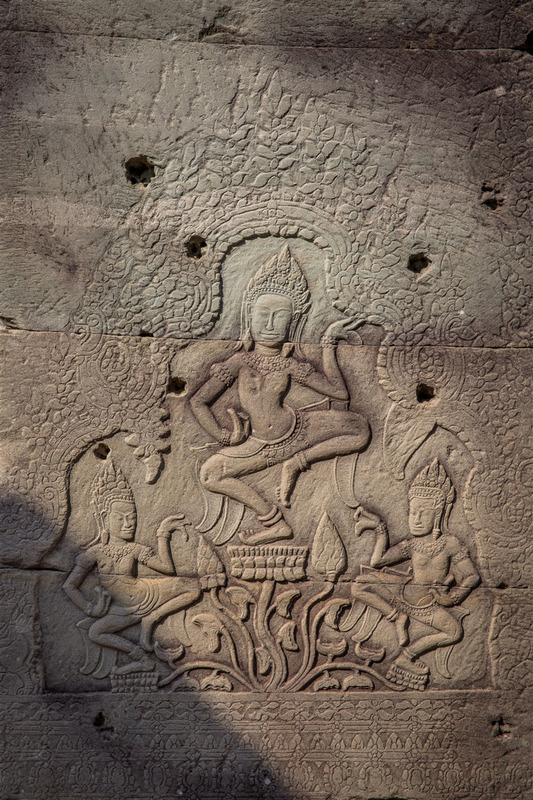 When photographing temples I try my hardest not to get any tourists in the shot. 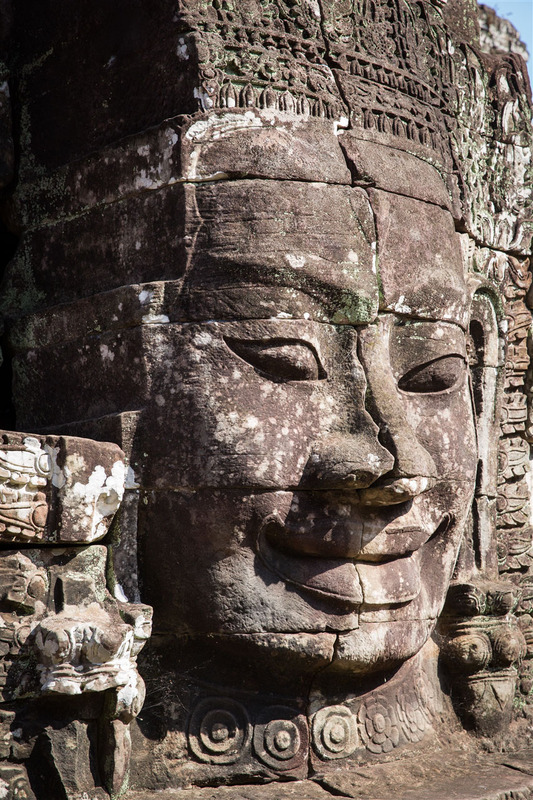 The Bayon tested that to the full, it was almost impossible and I have to confess one of my lasting memories of the place was the frustration at just how tightly packed everyone was within the many walls and towers of the complex. 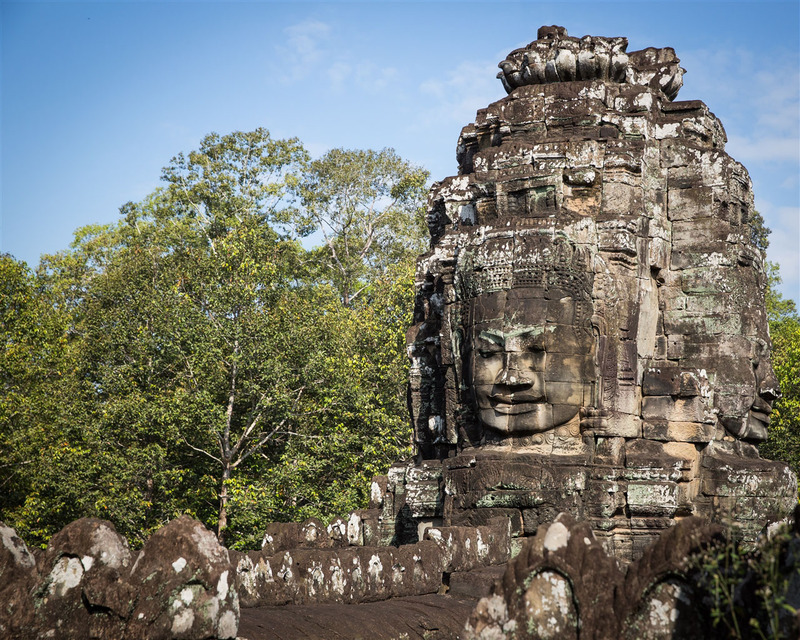 Frustrations aside, it is of course an amazing and wonderful temple to visit, and I guess I do have a very good excuse to return one day with a better plan for how I go about it.